Dr Fiona McKenzie is a human geographer with a PhD on innovation and expertise in both public policy and academic research. She is the Founder and Director of Orange Compass, a consultancy dedicated to supporting change makers on their journey to transform systems and build better futures. Fiona is also the Knowledge Manager for Collaboration for Impact, where she is leading the development of a digital knowledge and learning hub for systems change and collaboration. 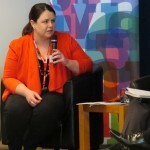 Prior to this, Fiona was the Co-Founder and Director of Strategy for the Australian Futures Project, where she led the design and implementation of a range of unique programs including ‘social innovation labs’ on early childhood development and agriculture. 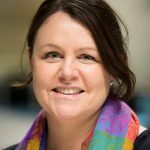 Fiona is respected for her ability to rapidly synthesise complex topics for decision makers and co-design systems change processes with stakeholders. 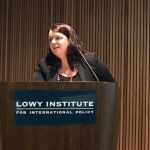 She has more than 15 years of experience working with a range of academic, corporate, government, non-government, and intergovernmental organisations. This includes organisations such as the Dusseldorp Forum, National Australia Bank, United Nations Environment Programme, Terrestrial Carbon Group, Wentworth Group of Concerned Scientists, Australian Centre for International Agricultural Research and numerous government and non-government agencies in Australia and internationally. Fiona is an Honorary Associate in the School of Geosciences at the University of Sydney. Dr Fiona McKenzie the Founder and Director of Orange Compass, a consultancy dedicated to supporting change makers on their journey to transform systems and build better futures. The Orange Compass team deploys its experience and expertise to help change makers navigate complex systems, identify leverage points, create the conditions for collaboration, hold the space for dialogue, and to go beyond innovation to sustained transformation. Fiona is also the Knowledge Manager for Collaboration for Impact, where she is leading the development of a digital knowledge and learning hub for systems change and collaboration. 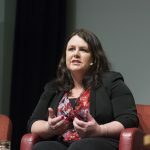 Prior to this, Fiona was the Co-Founder and the Director of Strategy for the Australian Futures Project, where she led the design and implementation of a range of unique programs including ‘Social Innovation Labs’ on early childhood development and agriculture. Fiona’s academic background is in human geography. She is an Honorary Associate in the School of Geosciences at the University of Sydney and is on the Council of The Geographical Society of New South Wales. Her main focus is innovation and collaboration – how to strengthen the decision processes of individuals and groups across diverse networks and systems to unleash solutions for more sustainable long term outcomes. 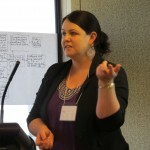 In 2011, Fiona completed a PhD on farmer-driven innovation in Australian agriculture. 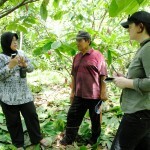 From 2012-2013, as a Research Associate at the University of Sydney, she helped to establish and pilot a participatory model of farmer engagement – designed to encourage on-farm innovation and stronger knowledge networks – in a cocoa growing community in West Sulawesi, Indonesia. 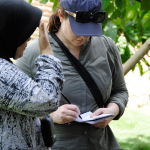 This project was funded by the Australian Centre for International Agricultural Research and was conducted in collaboration with a range of Indonesian organisations. During this time, Fiona was also a lecturer on Sustainable Development at the University of Sydney. 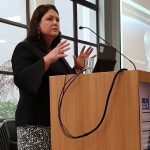 Fiona has published on a wide range of topics and is a sought after speaker for her insights into today’s wicked challenges as well as trends shaping the future such as digital disruption and the fourth industrial revolution. For book chapters, reports and papers produced as a result of Fiona’s work, please refer to the publications page. If you have a project you’d like to discuss, please refer to the contact page.